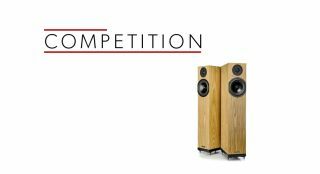 Win a pair of Spendor A4 speakers worth £2200! | What Hi-Fi? We're huge fans of Spendor's A4 floorstanders and now you've got a chance to bag your very own pair! The Spendor A4s walked away with a What Hi-Fi? Award in 2017 and it's not hard to understand why. They are sublimely talented floorstanders, delivering analysis and entertainment in equal measure. And, if space is at a premium, their compact dimensions could make them the perfect addition to your set-up. To be in with a chance of winning these stunning £2200 speakers, just click on this link, answer the multiple choice question and a pair of Spendor A4s could be yours.